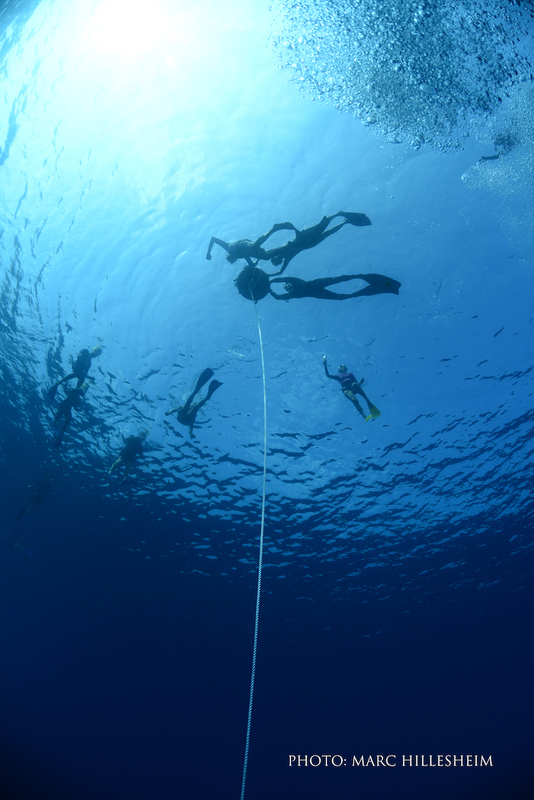 To live a life where gravity and time are relative is every freediver’s dream. This year’s LUX* South Ari Atoll Underwater Festival gets up-close and personal with world record holder Christian Redl set to host apnea courses from the 3rd to 9th of April 2016 and reveal how this life-changing sport has irreversibly shaped his life. When the Austrian-born athlete is not engaged in action-packed underwater filming projects to raise awareness on the endangered population of sharks, he holds his breath during the low temperatures of lakes in the Austrian Alps partaking in ever-challenging extreme sports events. ‘Freediving changed completely my life’ says Christian, ‘and the Underwater Festival in the Maldives is where I am able to share what I love the most while being in my element’. The resort’s diving center operated by Euro-divers enhances the weeklong event with the expertise of German photographer Marc Hillesheim. Underwater photography workshops, freediving photo sessions and guided photography dives are just few of the exciting additions to the Festival. But in today’s world no photo goes unnoticed! That’s why the Underwater Festival hosts an Instagram contest for guests wanting to share their underwater discoveries on the social network and invites in-house participants to tag their images with the hashtags #LUXUNDERWATER #LUXONEBREATH and #NOGRAVITYMALDIVES to win a great deal of prizes. Besides being able to refer to the Marine Biology Center as source of information on the resident population of whale sharks, guests will also be involved in the exciting findings of Olive Ridley Project’s team and Senior Project Scientist Doc. Jillian Hudgins. Often appointed as marine consultant by the Maldivian Government, Doc. Hudgins co-founded O.R.P. in 2013 with the intent to promote marine ecosystem health and resiliency in the Indian Ocean and its sea turtles. ‘Sustainable tourism is a community effort that starts with small steps and goes a great length’ says General Manager Glenn Daniels, ‘this is why we endeavor to combine healthy water sports with light learning and offer a week of underwater adventures that is as exhilarating as it is enlightening’. During the day, freediving classes, underwater photography courses and guided expeditions to responsible snorkeling with whale sharks and sea turtles enrich the fifth edition of the Underwater Festival. At night, our passionate experts conduct presentations and underwater-themed movies screened under the stars. Having recently unveiled the resort Signature Pool Water Villas, guests booking those adults-only overwater cocoons with infinity pools during the Festival period, are entitled to one complimentary freediving course per person.